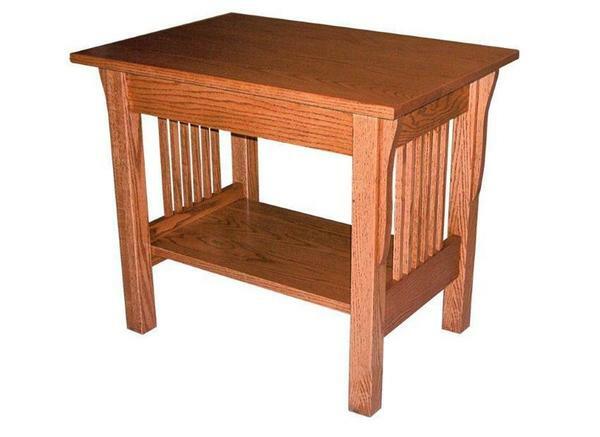 This Prairie Mission End table is proudly made in American by an Old Order Amish craftsmen. This is the perfect Mission end table for some looking for lots of space. Please call one of our Amish furniture specialist today with questions on this Mission furniture. We offer a wide variety of furniture for your living room, family room and reception waiting area.